December, 2007, refuelling of a US Air Force C-17A with SJ-8 fuel, a 50/50 blend of JP-8 and synthetic fuel. Late in 2007 the US Air Force released the final test report covering flight trials of a synthetic aviation kerosene, flown over a year using a service B-52H bomber. This is first step in a carefully planned long term effort which is intended to wean the US military machine off imported petroleum products, the aim being eventual replacement of crude oil based fuels with products made from natural gas and coal, where possible sourced within the US. There are two central imperatives for this change in US strategic policy. The first imperative is simply cost, since at this time synthetic crude oil based fuels cost around half of natural crude oil based fuels, per barrel. Given the enormous fuel burn of the US military machine, of which the US Air Force consumes the lion's share, there is a huge fiscal incentive to abandon legacy crude oil based products. The second imperative is no less important. Its aim is to reduce dependency on foreign imports in a volatile global market. Many major crude oil producers, such as Iran and Venezuela, are intensely hostile to the US. Other producers will play political games to extract favours and concessions over access and pricing of crude oil. The stark reality is that access and pricing of crude oil can be used as a political and strategic weapon, something the US has become acutely sensitive to in recent times. Since the 1973 oil embargo over the Yom Kippur war, major oil producers have well understood the strategic dependency of the US and EU, and the political power this provides them with. Germany relied heavily on its synthetic fuels industry during the latter part of WW2. The Axis fuels infrastructure was subjected to sustained and heavy air attacks during this period. 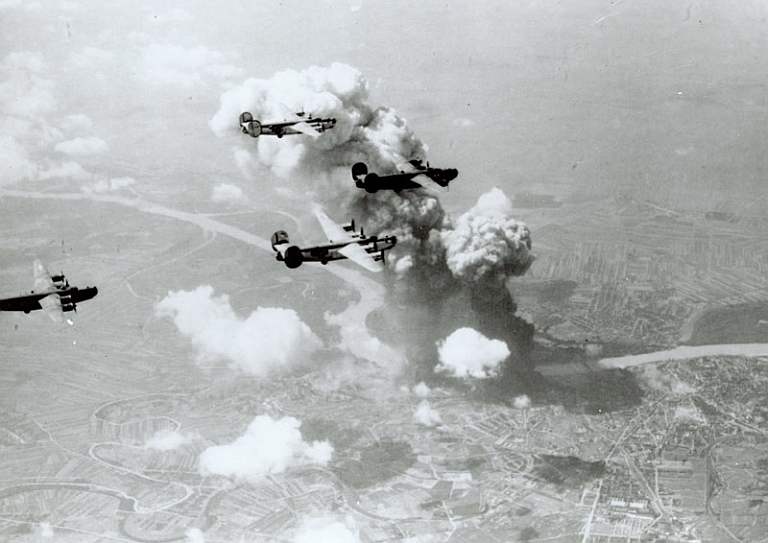 The image shows 15th AF B-24Js raiding the Apollo refinery at Bratislava, located on the Danube (US DoD). There is nothing new in the basic technology of synthetic fuel manufacture, which is based on 1920s German Fischer-Tropsch chemistry. To describe the technology as 'mature' is to grossly understate reality. During the Second World War Germany built a great many synthetic fuel plants to power its war machine, which had limited access to natural crude oil. Unable to secure the Soviet Caspian oilfields, and with the Rumanian Ploesti oilfields subjected to ongoing air raids, starting with the massive 'Tidal Wave' operation, Germany had no choice than to use its most readily available carbon based fuel, which was coal. With rich coal deposits in Germany, and occupied Poland and Bohemia, a respectable number of large synthetic fuel plants were rapidly constructed [Becker et al, 1981], [Stranges, 2004], [Ludmer, 1946], . (excludes the large Reichswerke Hermann Göring Brüx IG Farben plant located in the Sudeten). No differently, during the Apartheid era, South Africa's SASOL produced synthetic fuels to maintain the nation's economy and military. The long running embargo by Western nations simply compelled the Apartheid regime to improvise, and the result today is that SASOL is a major player in the global synfuels industry. There are a number of processes via which synthetic fuels can be produced from coal, oil shales or natural gas. Each has unique advantages and disadvantages. The best known process is the classic Fischer-Tropsch or 'F-T' process using coal. In a conventional F-T plant, coal is heated via combustion and steam is injected to produce 'synthethis gas', a mixture of carbon monoxide and hydrogen. Synthesis gas is also known as 'coal gas' or 'town gas' and was for decades a mainstay of European industry, used no differently than methane based natural gas is used today. The synthesis gas, typically with a 2:1 ratio between hydrogen and carbon monoxide, is then fed into an F-T reactor, where iron- or cobalt-based catalysts are used to form a synthetic crude oil. Importantly, the choice of pressure, temperature and catalyst composition allows the composition and thus density of the synthetic crude oil to be controlled with considerable precision. Industry sources point out that temperatures around 330°C produce mostly gasoline and olefins, while temperatures between 180 to 250°C produce mostly diesel and waxes. The result can be synthetic crude oils varying between light and heavy, or optimised to produce best yield in fractions used for kerosene, diesel or petrol / motor spirit / gasoline production. The resulting synthetic crude oil is then refined no differently than natural crude, using conventional refinery stacks, to produce fuel blends, lubricants and chemical industry feedstocks. There is one critical difference compared to natural crudes, which sadly most environmentalists overlook given their compulsion to criticise the greenhouse emissions of all carbon based fuels. 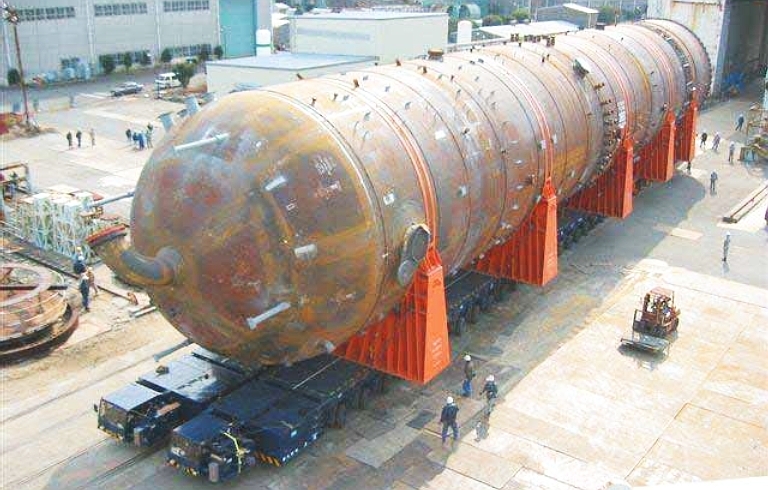 A SASOL-Chevron Fischer-Tropsch reactor (SASOL-Chevron). The synthetic fuels produced by the F-T process are free of sulphur and heavy metal impurities. These impurities have considerable adverse environmental impact, and typically incur significant refining costs to remove from naturally occuring crude oils. It is worth observing that one unwanted byproduct of the progressive depletion of most currently producing oilfields, is that the density and impurity content of the natural crude increases as the oil is extracted from the geologically deeper strata. This is one of the factors, other than increasing global demand, which is contributing to increasing costs in natural crude based products. 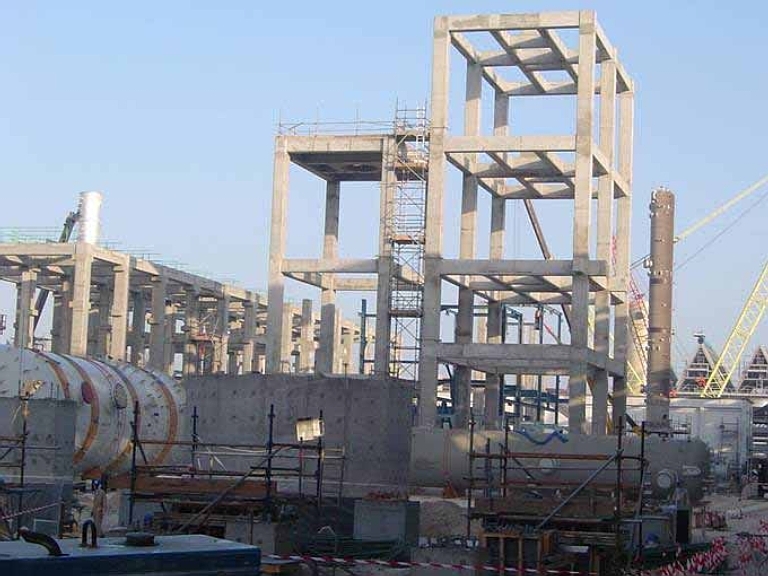 SASOL-Chevron Fischer-Tropsch synthetic fuel plant under construction (SASOL-Chevron). A consequence is that the higher purity synthetic product is cleaner and less damaging to the environment, as well as being cheaper. The principal production issue for modern synthetic fuels is the provision of the feedstock. The classical F-T process sees coal mined either underground or in open cut mines, and then delivered by road or rail to a synthetic fuel plant for processing. Any alternative to this method which is cheaper, and arguably environmentally better, is the technique of Underground Gas Conversion (UGC), pioneered by the Soviets in the 1950s, and since then widely used in Russia and other former Soviet republics. The UGC technique dispenses with the extraction of coal and use of reactor plant to generate synthesis gas. Instead, a coal formation located at a suitable depth has shafts drilled into it, using oilfield type techniques. The formation is then ignited underground, and air is pumped in to sustain the burn. Steam is then injected into the formation to produce synthethis gas underground, which is then extracted via other shafts. The synthesis gas is then distributed via a pipeline to user plant, be it for heating, industrial or other use. One such use is as feedstock to a F-T synthetic fuel plant. 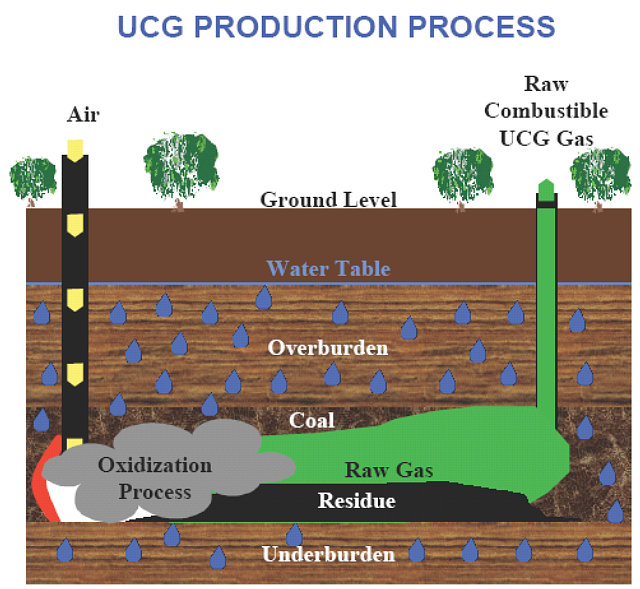 Both the legacy and UGC methods or producing synthesis gas are mature and well established, and rely on access to coal of suitable composition. Other alternatives exist. Syntroleum plant near Tulsa, Oklahoma, in the US (Syntroleum). One is the use of natural gas, comprising mostly methane, as a feedstock to produce synthesis gas. The technique was pioneered by the Syntroleum company, based in the US. 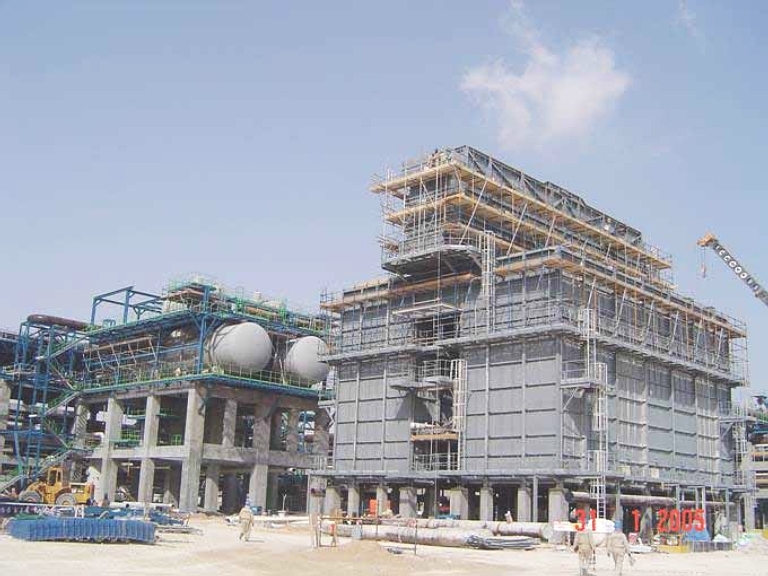 The Gas To Liquids (GTL) process involves the partial oxidation, steam reforming or some combination of these two processes to convert natural gas and air into synthesis gas feedstock. Steam reforming processes tend to produce surplus hydrogen, whereas partial oxidation does not. At least two processes exist for the latter, the more expensive of which uses an oxygen plant but produces better quality synthesis gas. Considerable heat is released by this reaction. 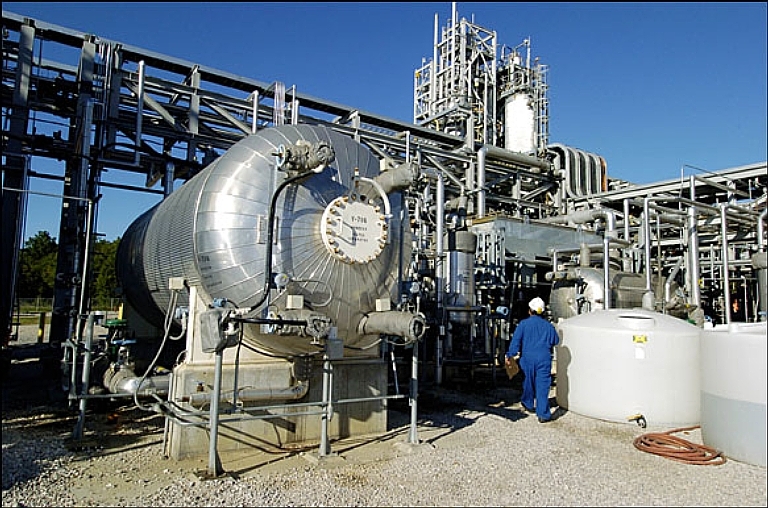 Once the synthesis gas is produced, it is suitably purified to remove unwanted components and then fed into a F-T reactor to produce synthetic crude. The downstream refinement processes are entirely conventional. Syntroleum has intensively marketed their process, and produced innovative proposals such as the use of tanker vessels equipped with F-T plant to produce crude from inaccessible or remote seabed natural gas deposits, which are simply uneconomical to access using gas pipelines. Other processes than the F-T model exist for synthetic crude production. One is the use of the Mobil 'M-gasoline' process from methanol feedstock, the latter produce for instance from natural gas or sugar industry waste product. Canada has an active industry producing synthetic crude from oil shales. Oil shales are abundant globally, and in geological terms arise where rock formations saturated with carbon are not buried deep enough for the combination of pressure and temperature needed to form crude oil. 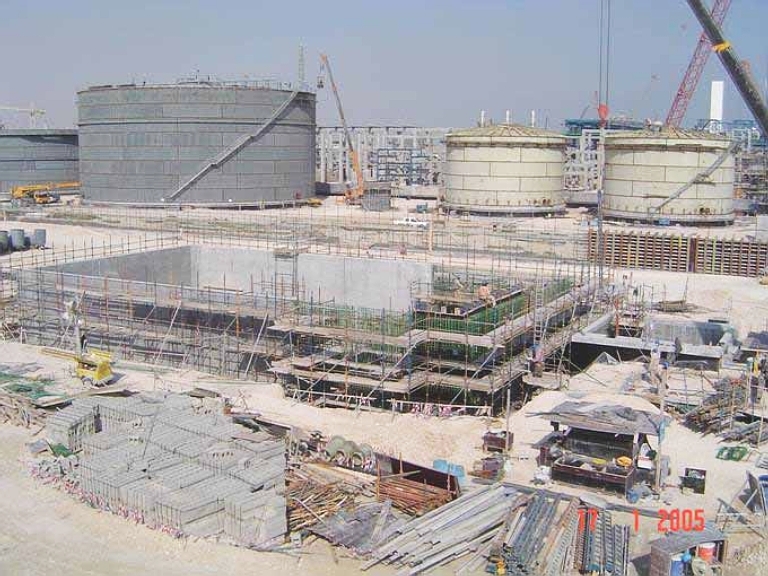 The most common process for the conversion of oil shales is retorting, where a kiln similar to that in a cement plant is used to heat the shale and 'crack' it to produce a crude oil. Another process involves pumping heat underground into an oil shale formation, to produce cracking and distill the crude in situ. The synthetic crude produced from shales is typically rich in 'middle distillates' making it best suited for production of diesel or kerosene fuels. Hydrogenation of brown coal or lignite, known as the Bergius process, was widely used by German industry during the Second World War. Another hydrogenation process, developed in Australia in an industry sponsored program by Monash University, also involved the direct conversion of brown coal into a crude like feedstock, by the use of hygrogen and a catalyst. This process was the disadvantage of requiring a hydrogen source, but releases considerable waste heat. There is clearly no shortage of technologies and potential feedstock sources for the production of synthetic fuels. The glacially slow uptake of synthetic fuels in current Western economies is largely the direct byproduct of the interplay between taxation policies and investment funding. Synthetic fuels currently sit at about half or less the cost per barrel of natural equivalents. However, typical synthetic fuel production plant is complex and thus expensive, and as a result the amortisation rate of the investment is slow, relative to the expectations of the investment industry, which likes fast returns. In the absense of tax breaks on plant amortisation, the global investment industry has been lukewarm at best in funding synthetic fuel plant. There are two divergent schools of thought in the debate on the environmental impact of synthetic fuels. The radical environmental and Global Warming lobbies are intensely hostile to the prospect of increased synthetic fuel use, as it it seen to an escape path from the escalating costs of natural crude oil, which is seen to be desirable as a force which retards global carbon based fuel consumption. If the world shifts to synthetic fuels as crude reserves are drained, the result will be, in the minds of the Global Warming lobby, further acceleration of global warming and resulting environmental doom. More cautious environmental advocates have recognised that synthetic fuels have much lower or even zero content of sulphur, heavy metals and other toxic and environmentally damaging impurities. Given the choice of burning natural or synthetic fuels, synthetics win every time on environmental impact. In the current absence of any economically viable alternative liquid fuel source for transportation, it is now inevitable that synthetic fuels will increasingly displace natural fuels. The strategic issue of access to crude oil will in time become as important as the cost per barrel, as many major global crude reserves decline in output. A key consideration will be the global impact on demand of India and China, as these nations industrialise and drive up their per capita oil consumption. With both nations having billion plus population sizes, even a lower per capita energy consumption in both relative to the US and EU could still see global demand for fuels triple over the next two decades. If the demand per capita is comparable to developed nations, the result is a manifold increase in global annual consumption. While there are yet to be discovered oil reserves, the reality is that most easily accessible reserves are in production, and many have crossed their respective peak production output points. It is an unfortunate accident of circumstance that a great many oil reserves lie in nations which are unstable, or marginal stability, or overtly hostile to the West. Synthetic fuels thus offer an escape route from the converging pressures of growing global demand and declining output of easily accessed oil reserves. A USAF B-52H Stratofortress from Minot AFB flying on a mix of synthetic and conventional JP-8 fuel. In terms of coal reserves, the US is well positioned as it is ranked first globally with 26 percent, followed by Russia with 23 percent, China with 12 percent, and Australia with 8 percent. No less importantly, the US has large reserves of oil shale in Utah, Wyoming and Colorado, forming the Green River formation, which is estimated to contain around 1.5 trillion barrels of oil, cited as 'more than five times the stated reserves of Saudi Arabia'. Natural gas as a potential feedstock for synthetic fuels is no less abundant, with Russia ranked first, the US ranked sixth, and Canada nineteenth. Over the last two years, interest in synthetic fuels has grown considerably in the US, with state governments of major coal producing states launching a major campaign to attract investors in the synthetic fuels industry. Incentives include tax breaks and other measures. China has however stolen a lead on the US, with contracts signed last year with South Africa's SASOL to perform feasibility studies on the construction of two 80,000 barrel per day Coal To Liquids F-T plants, in Ningxia Hu and Shaanxi Provinces. China is almost totally depedent on imported liquid fuels, and is even more strategically exposed than the US. In the US, the Defense Department launched its Assured Fuels Initiative (AFI) in 2001, with the aim of developing domestic sources of clean fuels, using coal and natural gas. This is an ambitious effort intended to break dependency on imported crude oil products. The US Air Force alone burns around 3 billion gallons of aviation kerosene annually, more than half the consumption of the whole US military machine. Michael A. Aimone, the US Air Force assistant deputy chief of staff for logistics, recently commented 'Our goal is by 2025 to have 70 percent of our aviation fuel coming from coal-based sources'. This is an aggressive but clearly very achievable planning goal. With the success of the trials performed using the B-52H, the US Air Force is now looking at other aircraft types to be certified to fly on a 50/50 blend of natural and synthetic kerosene. 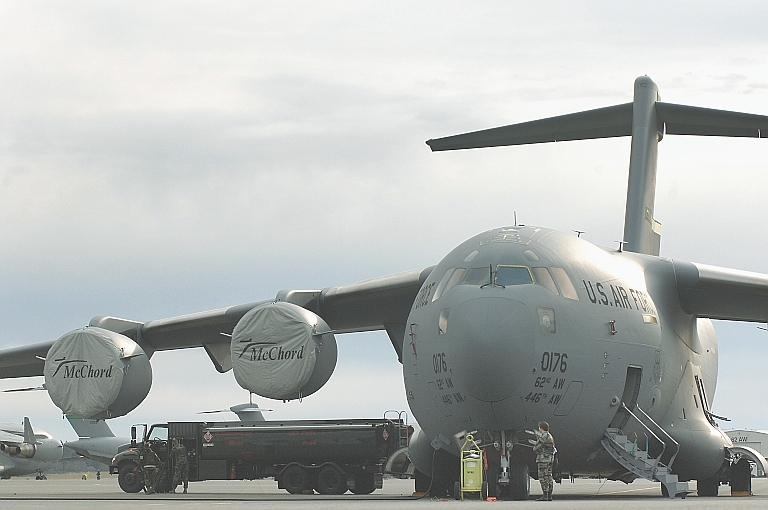 The next candidate is likely to be the C-17A Globemaster, another heavy consumer of fuel. It is likely that the prioritisation applied to certification will be ordered by aggregate fleet fuel consumption. While the US Defense Department has pursued a very active policy in this area, Defence in Canberra have not displayed any interest to date in synthetic fuels, and have minimal staffing to provide capabilities in fuel supply development. The issue is clearly not seen as a priority in Canberra. The recent public debate on alternative energy sources has been dominated by the nuclear debate, the solar energy debate, the windmill farm debate and the sugar industry lobby driven methanol debate. Synthetic fuels made from coal or natural gas lack public advocacy in Canberra, and thus are simply not on the agenda at this time. The strategic issues for Australia are arguably the very same as they are for the US - security of imported fuel supplies and cost per barrel. Most of the aviation turbine fuel burned in Australia is sourced from domestic refineries, made from imported crude feedstock, while the remainder is imported, mostly from Singapore. Any major disruption to the global supply chain could severely impact Australia's economy, and the ADF's capacity to conduct high tempo military operations. With potential ADF fuel burns of thousands of tonnes per day, diesel and aviation kerosene supply is a potential hard bound on ADF capabilities, regardless of the issue of having a proper resupply infrastructure. The latter is an equally neglected issue in Canberra. In terms of reserves of coal and gas per capita, Australia is actually in a much stronger position than the US is, especially in natural gas where Australia's recent global ranking of fifteenth is set to with another round of North West Shelf gas discoveries. Not surprisingly, the synthetic fuels industry in Australia is virtually non existent. The only effort of significance at this time is Linc Energy's joint program in Queensland, conducted with US synthetic fuels technology house Syntroleum, to trial synthetic crude manufacture from feedstock gas produced using Linc's underground coal to gas conversion process. This malaise is despite Asutralia's good track record in research, including the successful trials at Monash University many years ago. Given that energy supply is an issue in the current public debate, it is astonishing that synthetic fuels remain in a policy vacuum, both in the civil and defence sectors. It is not in the national interest for this policy vacuum to persist. This nation has much to gain economically and strategically from self sufficiency in critical liquid fuels. Synthetic fuel plants attacked by Allied forces during the Combined Bomber Offensive are known to include Leuna-Meseburg (Ammoniawerke Merseburg GmbH), Lützkendorf (Wintershall AG), Zeitz (Braunkohle—Benzin AG), Bohlen (Braunkohle—Benzin AG), Bottrop (Rhurol GmbH), Politz—Stettin ( Hydrierwerke AG) , Gelsenkirchen (Gelsenkirchen—Benzin AG), Wesseling (Union Rheinische Braunkohlen Kraftstoff AG) and Reichswerke Hermann Göring Brüx (IG Farben). RAAF Lancasters participated in the Politz—Stettin raids.